You are here: Home / Uncategorized / Cary Elwes heats up the summer lineup! Cary Elwes heats up the summer lineup! Cary is probably most recognized as Westley in the film classic “The Princess Bride.” His successful career also expands to “Robin Hood: Men in Tights”, “Twister”, “Glory”, “Days of Thunder”, “Hot Shots!”, the “Saw” franchise, and many other features in movies and television. Cary is also an author with his New York Times Bestseller memoir “As You Wish: Inconceivable Tales from the making of the Princess Bride.” Fans are waiting to see Cary’s role of Mayor Kline coming to the next season of “Stranger Things”. 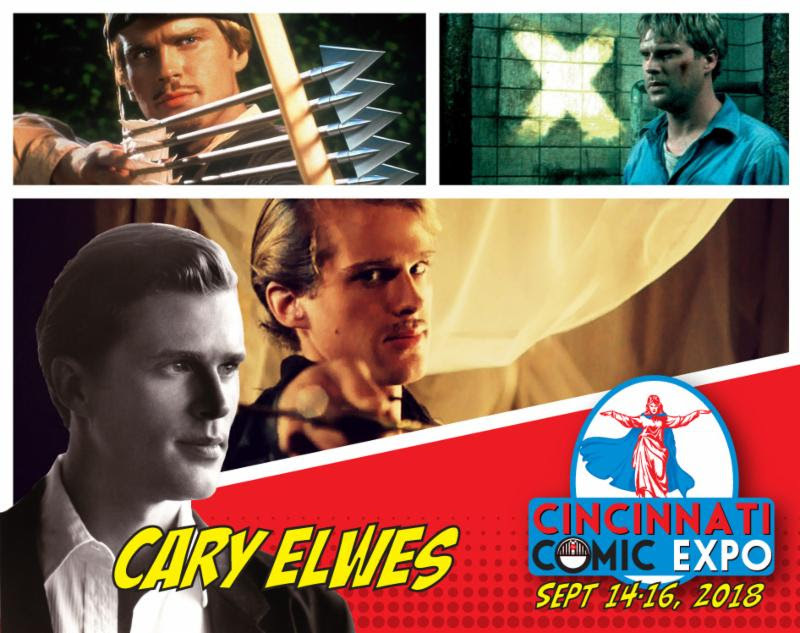 Get your admission tickets to the 2018 Cincinnati Comic Expo for an opportunity to get an autograph and photo on Saturday and Sunday with Cary Elwes!